Assessment of current and anticipated prescription drug expenditures enables for identification of potential future opportunities to reduce healthcare costs. This is the topic of the following article, with a focus on infectious diseases & antimicrobial stewardship. Every year the American Journal of Health-System Pharmacy (AJHP) publishes an article describing national trends in prescription drug expenditures and makes projections for the future. It does not provide data on all drug purchasing in this country, but it includes a large sample and provides a reasonable perspective on what is happening. This year it is anticipated the article will appear in the July issue of AJHP, however it is available on-line now here (if you have a subscription). The publication is highly anticipated by many people within the pharmacy profession. It gives us an idea of what our budgets may be expected to do and helps us to identify interventions to plan for in the coming months. As an infectious diseases and antimicrobial stewardship pharmacist I always find pearls of knowledge within this report. Things like which antimicrobial agents have the highest expenditures, which patent expirations are nearing and what drugs are likely to hit the market in the coming year. Here, I identify some of the takeaways from the latest iteration of what many of my peers and I call “the projecting future drug expenditures report” . The focus, as you might expect, is on happenings in the areas of infectious diseases and antimicrobial stewardship. 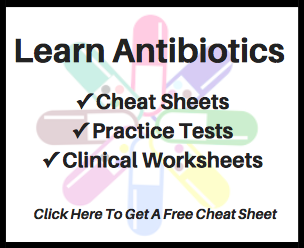 It should be noted that the primary goal of antimicrobial stewardship is not to save money. However, through implementing antimicrobial stewardship interventions that improve patient care, a common secondary effect is a reduction in overall healthcare costs. 1. Hepatitis C medication expenditures are through the roof! At $14,256,452,000, ledipasvir-sofosbuvir (Harvoni) sits atop the list of the top 25 drugs by expenditures overall in 2015. Sofosbuvir (Sovaldi) also made this list in the #24 spot at $2,960,431,000. It is no surprise that new hepatitis C medications are on this list as their treatment success rates and safety profiles have revolutionized the field, but to take the top position is truly impressive. This point serves to remind us that substantial resources can be expected to be devoted to hepatitis C care in the future. In turn, it may be worthwhile to evaluate how hepatitis C care is provided at your institution and investigate opportunities to maximize the chances of treatment success while minimizing drug wastage. The pneumococcal vaccine, influenza virus vaccines, varicella virus vaccine and human papilloma virus vaccine all made the list of top 25 drugs by expenditures in clinics in 2015. Each exceeded $600,000,000 in expenditures. One of the questions we face in infectious diseases and antimicrobial stewardship is which vaccines to carry and how to provide vaccines to the at-risk populations. Depending on the at-risk populations you serve, it may be worth examining how practices related to vaccination can be enhanced. Daptomycin has been identified as the most financially successful intravenous antibiotic in United States history . Year after year it has ranked as one of the drugs with the highest expenditures in non-federal hospitals. This time it ranks as #7 on the list of top 25 drugs by expenditures in non federal hospitals 2015; the highest spot of any antimicrobial agent on the list at $644,964,000. However, the ride for daptomycin is likely to slow in the near future. Inspection of the selected potential patent expirations in 2016 reveals daptomycin to be included. It will certainly be interesting to watch the contract prices of daptomycin as generic manufacturers enter the market. Related, patent expirations are also anticipated for tigecycline (Tygacil), oseltamivir phosphate (Tamiflu) and several HIV medications. Review some of the major publications in infectious diseases and you will quickly find there are not many antimicrobial agents expected to come to market in future years. For example, the 2013 Infectious Diseases Society of America update on the Gram negative pipeline does not exactly leave one encouraged . In the selected drugs and biologicals identified to have received or may receive FDA-approved labeling in 2016, the only antimicrobials that make the list are medications for hepatitis C and HIV. This finding highlights the fact that we need to do what we can to preserve existing agents through practicing good infection control and antimicrobial stewardship. The authors estimate increases in overall expenditures for 2016 compared to 2015. This is consistent with the trend observed over the past few years. Given that systemic anti-infectives, antiviral drugs and antifungal drugs are among the therapeutic drug categories with the greatest expenditures, we can expect the use of antimicrobial agents to continue to bring a considerable economic impact. As a final thought… amidst the opportunities to pursue in the near future aimed at enhancing services and reducing costs, we should be reminded that antimicrobial agents are not like the other therapeutic drug categories. As Dr. Stuart Levy identified: “Antibiotics are uniquely societal drugs because individual use effects others in the community and environment.” This should be considered as the potential short-term and long-term impacts of various initiatives are identified. 1. Schumock GT et al. National trends in prescription drug expenditures and projections for 2016. American Journal of Health-System Pharmacy. 2016; ePub ahead of print. 2. Eisenstein BI et al. Daptomycin: from the mountain to the clinic, with essential help from Francis Tally, MD. Clinical Infectious Diseases. 2010; 50: S10-5.